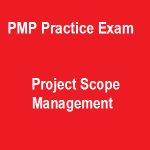 Free Project Roles Questions from The PMP Exam: How to Pass on Your First Try, 4th Edition by Andy Crowe are out of the practice tests that you should know for knowledge mastery. 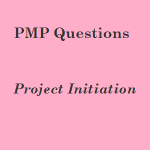 14 free project roles questions from The PMP Exam: How to Pass on Your First Try, 4th Edition by Andy Crowe master your knowledge of project roles – those are Project Management, Project Coordinator, Project Expeditor, Senior Management. 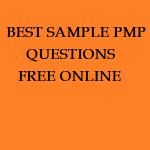 They are multiple choice questions friendly designed for your stress-free practice. You just need tick the best answer to each quiz, and hit the handy ‘submit’ to have your answers instantly checked and scored. 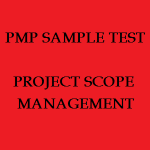 Overall, a tried PMP practice test for free. Enjoy it! In control of the project (depending on org structure). May not exercise budget decisions. Maybe able to reassign resources. Authorized to make decisions for the project. Ultimately responsible for outcome of project. Ensures deliverables arrive/completed on time. Formally empowered to use organizational resources. Project's problems rest with PM. Some organizations PM's don't exist. Authorized to spend the project's budget.